Do You Blog? Joined the #atozchallenge yet? I’ve decided to give this a try! 26 Days of blogging during the A to Z Blogging Challenge in April 2016! Anyone else planning to participate?? …. Or have you participated in the past? Hope to see you there! Hi. This will be my second year of AtoZ Challenge, again with a theme. I feel I’m sooooo behind with preparation, but I’ll do my best. I have a theme and thoughts on the layout of each post. I’m trying not to think about 26 days!! I’ll do my best too! 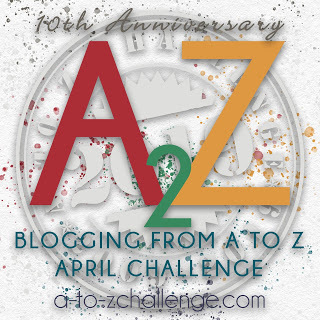 Question… Do you have to put the #atozchallenge in the title or can it got anywhere in the post? I was thinking about doing some planning as well…or at the very least start thinking about interesting words for each letter! It is good to have the advance notice. I’m very glad you found about the challenge now and shared! Hi Damyanti! I’m only on WordPress and Facebook. Can you follow with the tag ~ ‘AtoZChallenge’? Yes I will! Do follow us on FB though, because we open the page each Challenge day for you to post links! You’ll find the FB page in my post. I just entered the Challenge. Looking forward to reading and especially enjoying your colorful drawings.